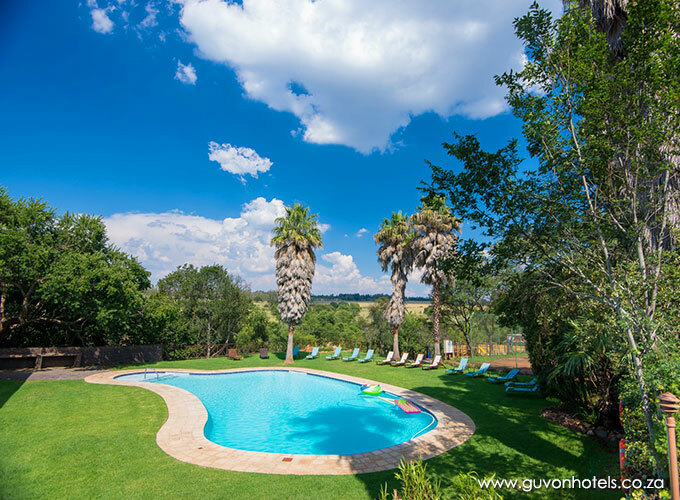 Nestled at the foothills of the Zwartkops Mountains in the Cradle of Humankind, Kloofzicht Lodge & Spa is a comfortable forty minute drive from both Sandton and Pretoria. 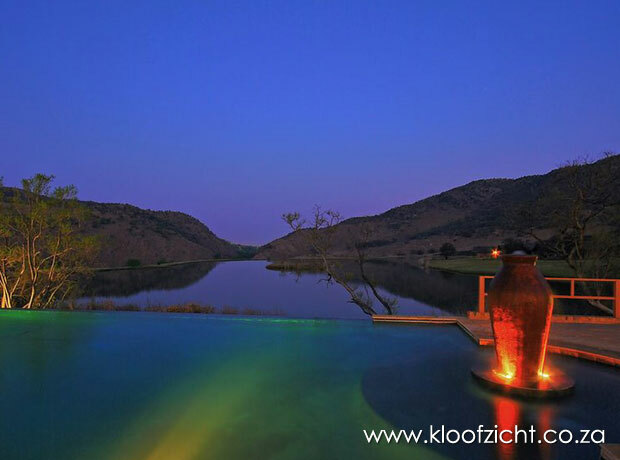 The stillness of Kloofzicht Lodge is embodied by water as the lodge, comprising sixty suites, overlooks six exquisite fly fishing dams and the lower reaches of the Blaauwbank Spruit, which meanders through the unspoilt Zwartkops gorge. 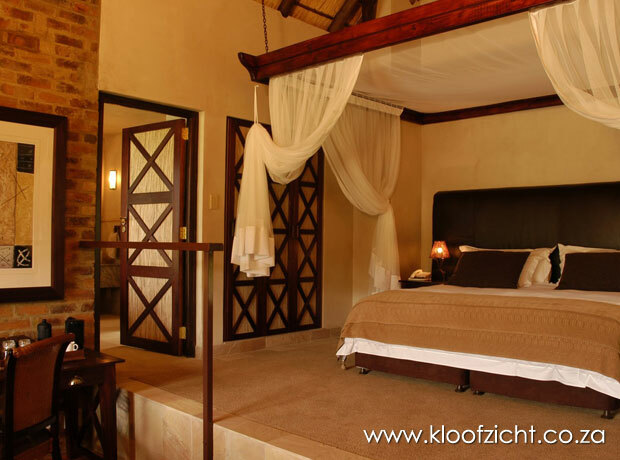 Five star hospitality and service is the trademark of Kloofzicht Lodge & Spa and can be found from our conferencing and banqueting to our wedding, leisure and spa facilities. 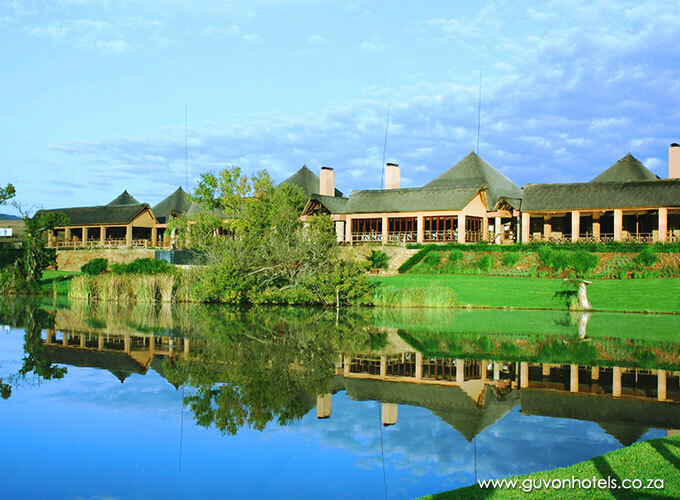 The lodge accommodates groups from 2 to 120 delegates within five main conference venues and three smaller meeting rooms. 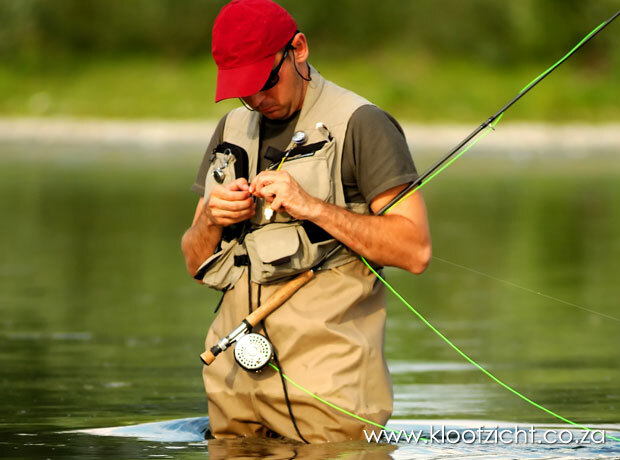 Spa conference packages are popular with cutting-edge companies, while fly fishing packages are available as an interesting teambuilding alternative. Weddings are celebrated in style in the open air chapel and our selection of venues comfortably accommodate 120 guests at a time. 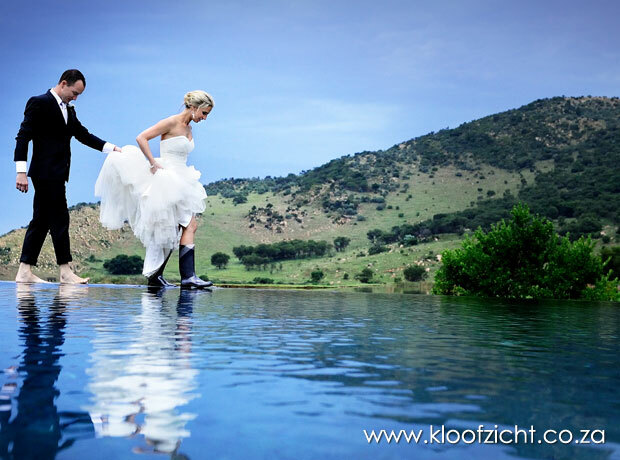 At Kloofzicht Lodge we employ our wealth of experience, matched with personal service to ensure the success of your wedding day. 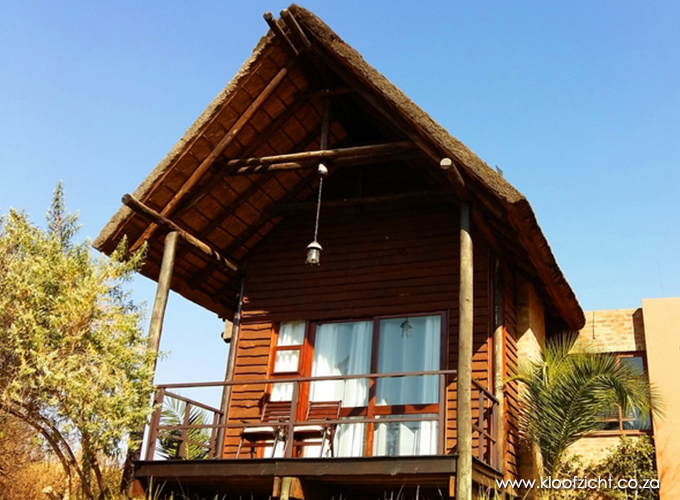 Glenburn Lodge, Kloofzicht Lodge and Bush Willow Tented Camp are all within easy access (approx. 10km) from Maropeng where Homo Naledi, a new species of human relative, has been discovered in a cave in The Cradle of Humankind, South Africa. 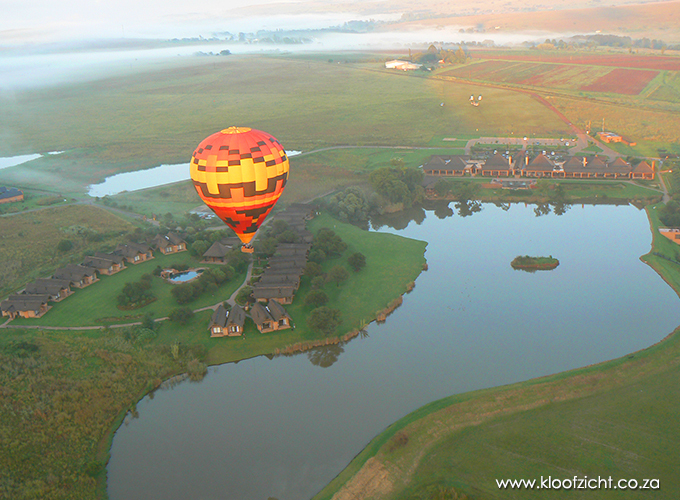 Kloofzicht Lodge & Spa has become synonomous as the venue of choice in Gauteng for hot air ballooning safaris, due to the favourable flying conditions. For family rooms, children under 12yrs stay free and will only be charged for their meals. 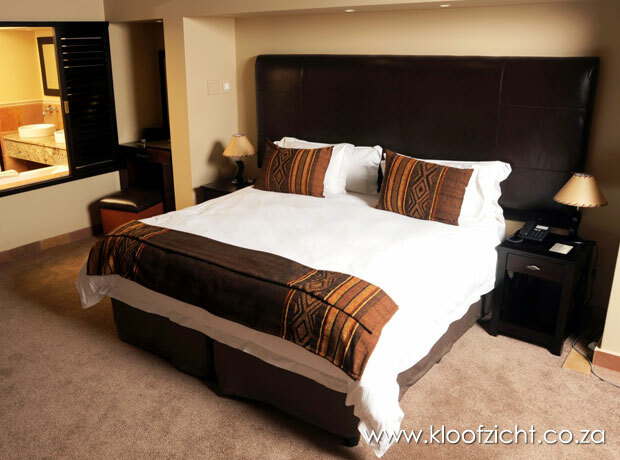 All of the above Rates for all the Lodges is a per person per night rate and includes breakfast and / or dinner. See each lodge for details. All rates include a 14% VAT. All rates are subject to change without prior notification. 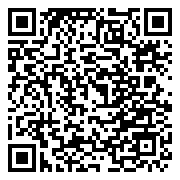 Dinner, bed and breakfast rates available on request. A 50% non refundable deposit will be required to secure booking. 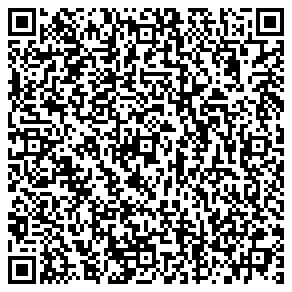 Balance is payable along with any extras prior to departure. Provisional bookings will be held for 72 hours after which they will automatically be cancelled. 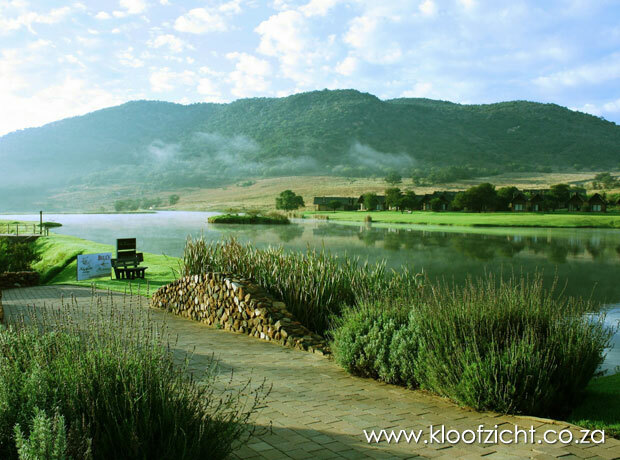 With sweeping views over the Zwartkops mountain range and fly fishing dams, Kloofzicht Lodge epitomizes five star luxury in a relaxed country environment. 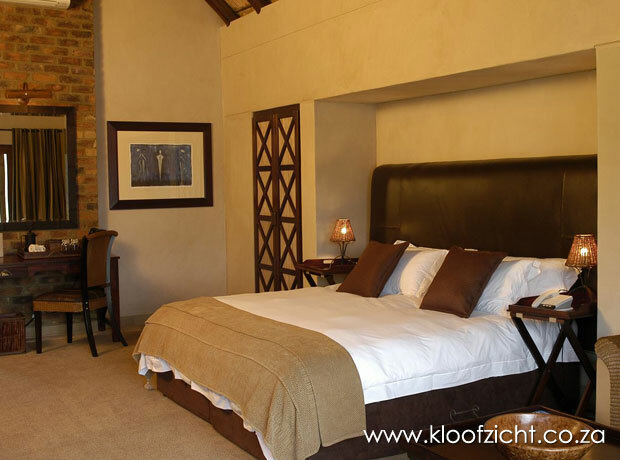 A combination of textured interiors, sandstone tiles, majestic mahogany and bold warm fabric colours are carried throughout the interior of the lodge. 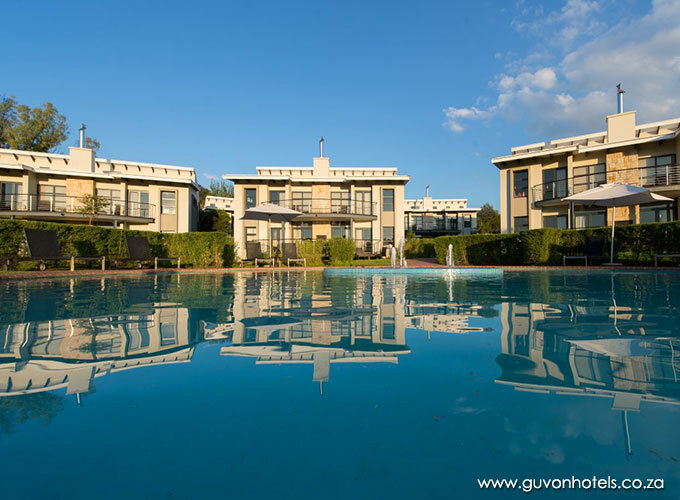 All suites have en-suite bathrooms and the Family Suites have underfloor heating and heated towel rails. 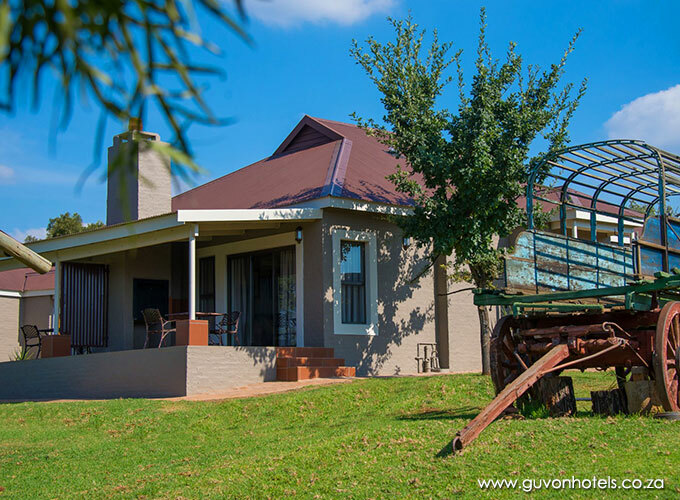 Amenities, cupboards with hangers, gowns and umbrella, digital safe, hairdryer, air conditioning, telephone, couch and/ comfy chairs, coffee tray, TV with SABC and selected DSTV channels, DVD player, mini bar, fireplace and patio or deck. Children of all ages are known to us as "Little People", here we do everything possible to make them feel as much at home as any of our other guests. 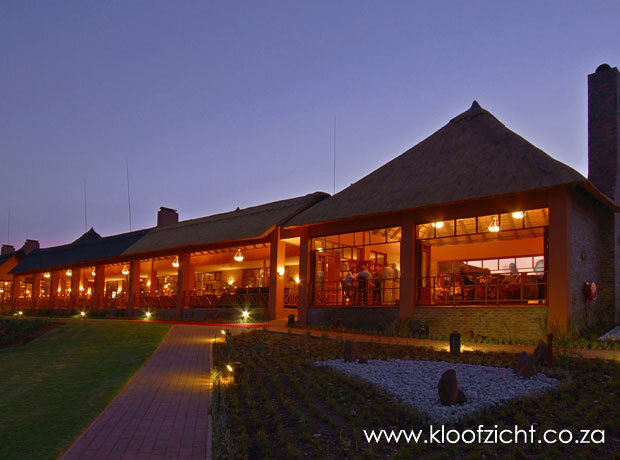 On arrival at Kloofzicht Lodge, all "Little People" will be given a Welcome Pack, which contains lots of little goodies to help keep you entertained and help to educate you about our venue. 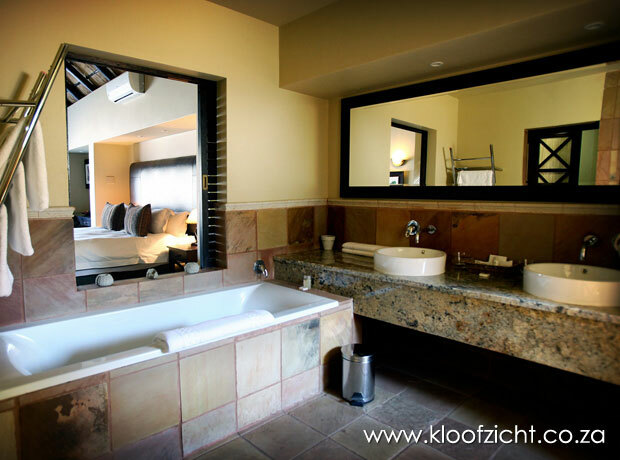 In every "Little Person's" room there will be a special welcome letter and a list of phone numbers you can call from your room so it is easy for you to get hold of other "Little People", along with Kloofzicht staff. Also, for your safety, we have security guards on duty all night that will pay particular attention to rooms occupied by "Little People"
In addition to this we can also arrange for "Little People's" cuisine if you wish, such as pizza, toasties, pasta, etc. A babysitting service is available at an additional charge, however, please be aware that off-duty staff who have experience with children will be used for this. Remember, that all of this is at no extra cost, unless a charge has been mentioned above. Lastly, we understand that every "Little Person" is different, so if you want something specific provided for your particular "Little Person", then please let us know and we will do everything we can to ensure their stay runs just how you want it to. 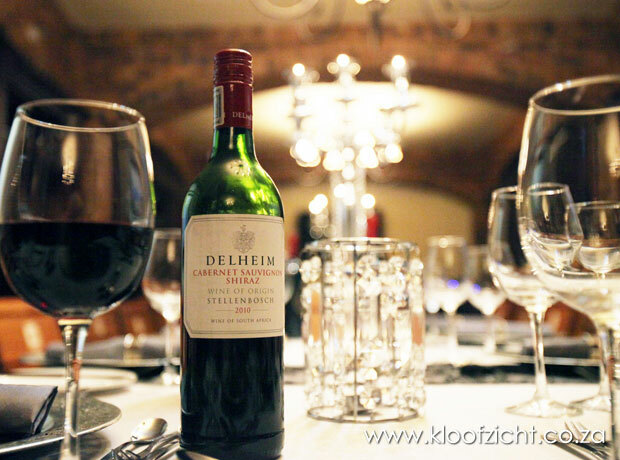 The stylish contemporary décor of Kloofzicht's Restaurant presents a perfect canvas for sophisticated A la Carte dining at night and extensive buffet lunches on lazy Sundays. Ever so popular for light meals during the day is the Little Foot Bar - a firm favourite for watching sport on the big screen or cozying up next to the log fire with a port or red wine. 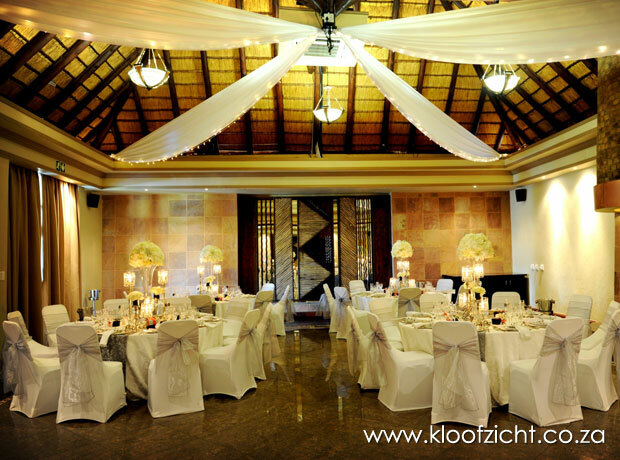 Kloofzicht Lodge is the ideal venue for up market conferences, special functions or dream weddings. NOW read 5 conference rooms complete with state of the art conference facilities seating between 10 – 120 delegates. 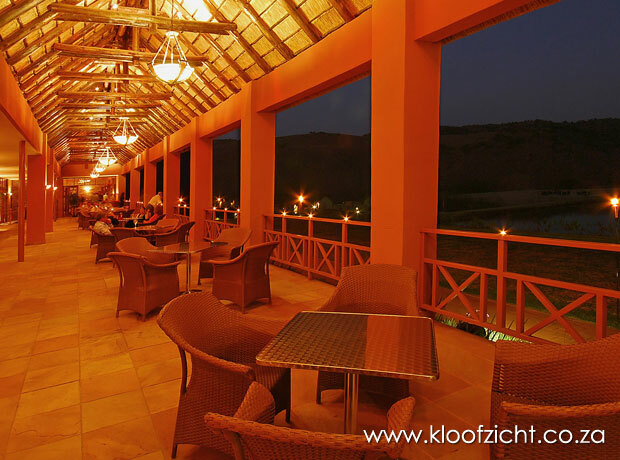 Allow the highly trained and experienced staff of Kloofzicht Lodge to take care of all the details to ensure a stress free event, from catering to décor. 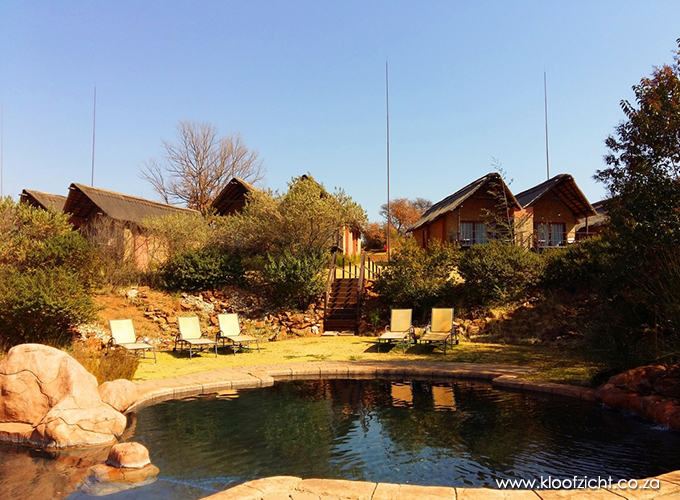 A wonderful alternative to enjoy the African outdoors is the boma, perfect for team building and special occasions. Authentic African meals are served, and guests are provided with warm blankets for chilly winter evenings around the boma fire. 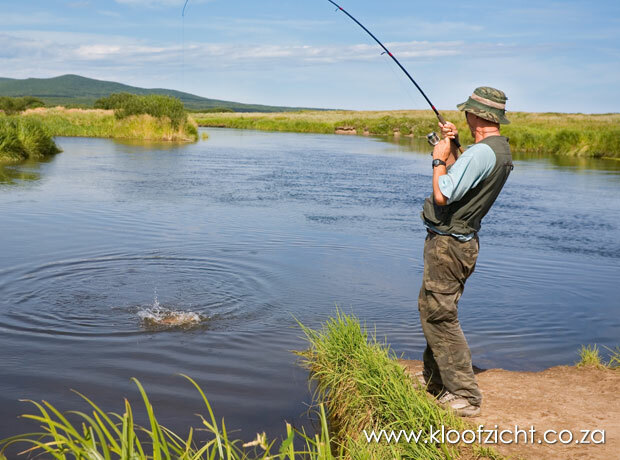 Kloofzicht offers fly-fishing as a leisure activity and the experience of a lifetime awaits you, regardless of your level of expertise. 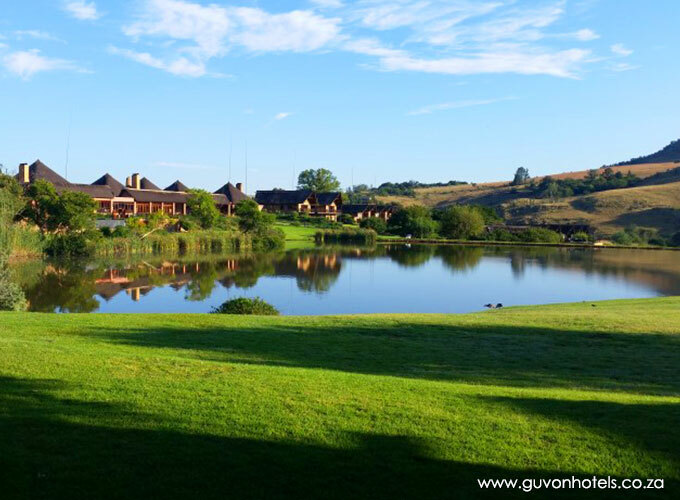 Trout, bass, carp and the ever- elusive yellow fish will provide you with hours of entertainment and the opportunity to unwind and relax. For pure relaxation, please contact reception for more detail. Remember to stop by our fly fishing shop in reception - if you ever wondered what a 'Woolly Bugger' is, you will soon enough have the answer! Create an Elemental Balance in your life with the four elements. 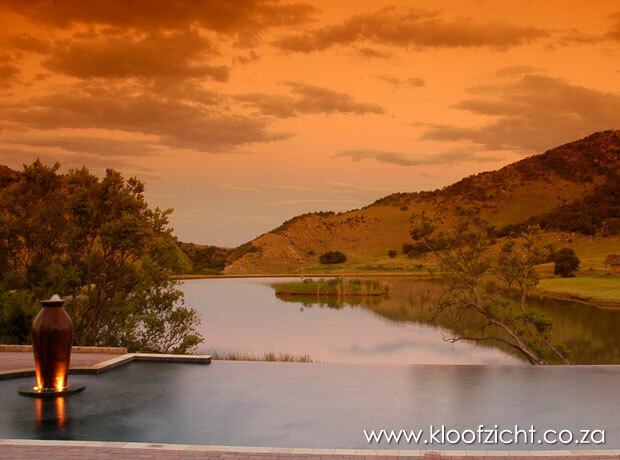 With breath-taking views over the Zwartkops Mountains and endless stretches of water, Kloofzicht Spa is the ultimate sanctuary to just relax in stress-free and tranquil surroundings. 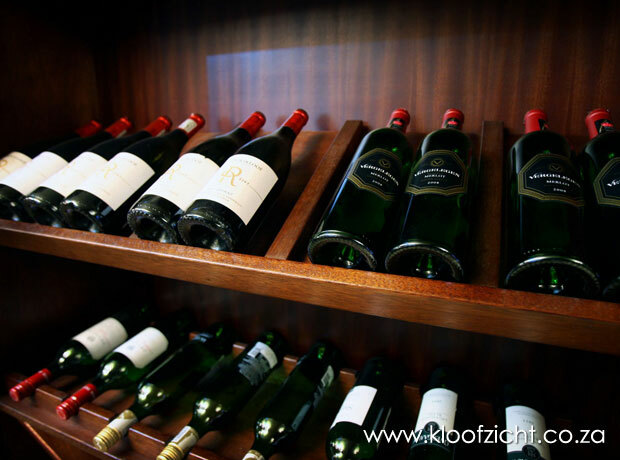 Kloofzicht Spa offers a variety of Spa treatments, massages, facials, manicures, pedicures and tailor-made spa packages all combined with five star facilities and service. Nature’s Four elements: Earth, Wind, Fire and Water is not only evident in the décor, but also provide a cornerstone for the Spa’s philosophy and treatment list. 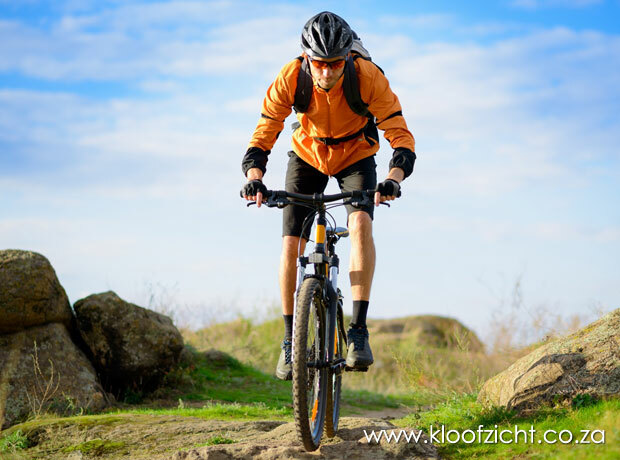 Other recreational facilities include Kloofzicht Spa, archery, hot-air ballooning guided nature walks, hiking trails, game viewing and bird watching. 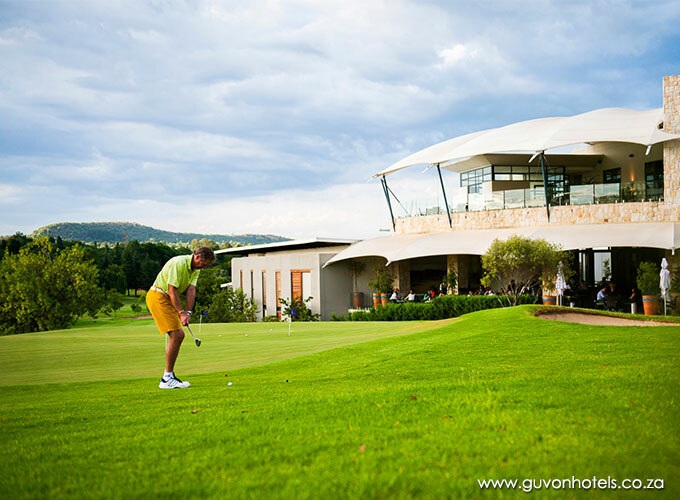 Within close proximity to Kloofzicht are the Rhino and Lion Nature Reserve, Wonder Caves, Sterkfontein Caves, Kromdraai Goldmine, two golf courses and many other attractions. 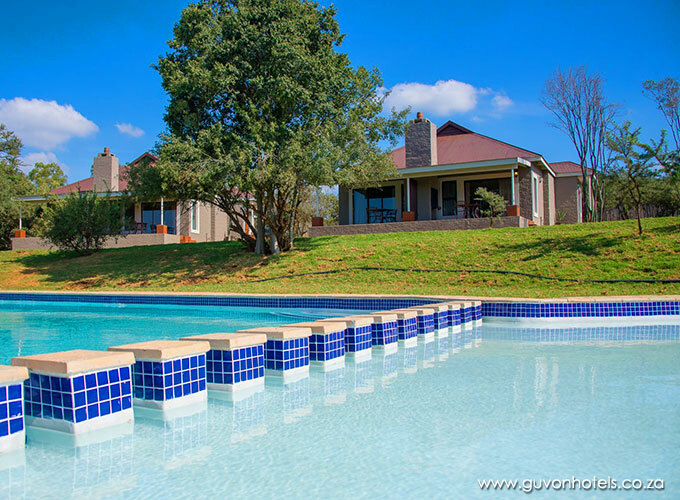 Or simply just relax in our rim-flow swimming pool.